The co-main in place for Aftershock 30 is a fan’s fight between a powerhouse couple of authentic scrap minded gentlemen. 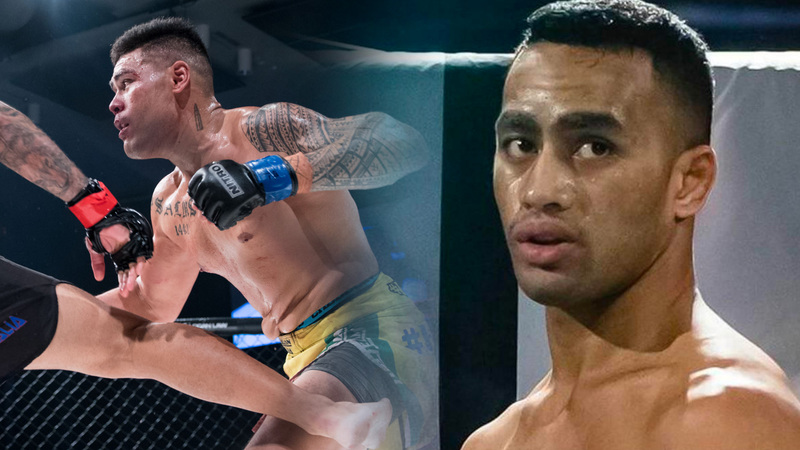 The always exciting pair of Sam Jo Toetu and John Vake will provide welterweight authority and applicable consequences like one punch KO potential that come with it. Sam Jo is no stranger to a violent fight and never one to shy from an exchange of blows to reap the rewards of a win. Going 5-for-5 in 2017 alone saw a blazing streak for Toetu within a 12-month period, and now he finds himself in a position to challenge for the Aftershock welterweight title. Seeing Sam in action, stone-faced through a crimson sheet while still marching forward is a sight to behold. Especially if you’re tasked with defeating him. Sam Jo Toetu captures the elusive Nitro championship title earlier this year. Photo courtesy of Nitro MMA. A true warhorse and wildman with the potential to lift the derriere of the audience into the air come fight time. A fight finisher that seeks a dominant showing and means to melt the resolve of those he faces, so be fair warned when Sam swings for the fences like backyard cricket. But most importantly, Sam is a whirlwind that can take the best laid plans of opponents and force them into his world where the rules favour the man swinging the bigger stick. 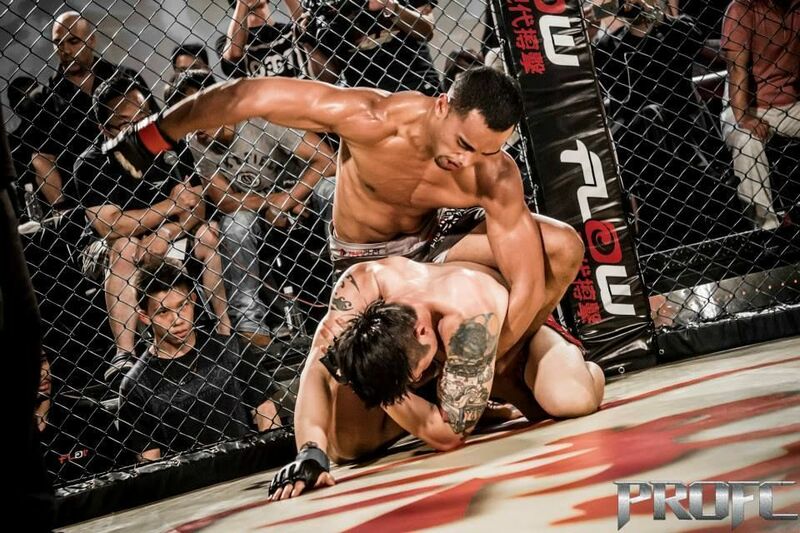 A fighter who has seen his share of cage time like John Vake mightn’t be so phased by relentless aggression, more so when his resume of fights is calculated. A veteran in every sense of the word who has faced international talent sports a 15-fight record makes this match-up even more scintillating. This isn’t a matchup of old, in terms of striker vs grappler, but it is a classic match up of fire vs water. Toetu will look to blaze a path in this fight with Vake looking for any opportunity to extinguish the heat. 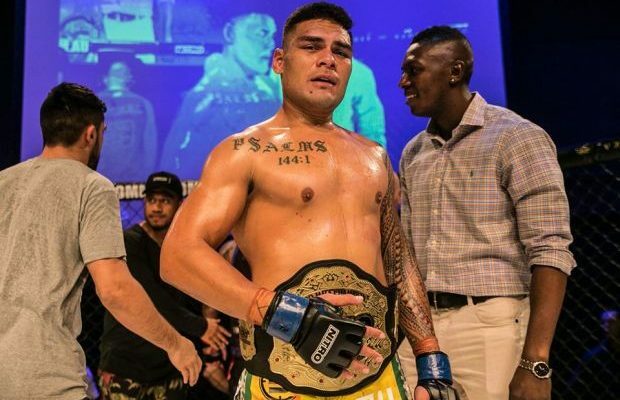 A veteran of the sport, John Vake challenges Sam Jo Toetu for the Aftershock welterweight title. At times when Vake finds himself on top of an opponent, the results are punishing. His pressure and tendency to thrive on top lends a smothering facet to his game. If he finds a way to put Toetu on the mat the welterweight strap could very well be his. This fight will be interesting to see if Sam can get off on the feet and thwart the takedown attempts of Vake, or if Vake can get this to take place on the mat and drown Toetu in his unforgiving world of relentless pressure. This welterweight clash is a thought-provoking title tilt that leaves little to the imagination of what could happen in there and all the better for it. We know who these boys are and what they’ll bring to the table and are thankful for it. The only uncertainty here is who takes it, the certainty lies in them destroying one another to find out.